The Editor's Weblog: Didn't we have this problem last year? Didn't we have this problem last year? I guess, students are more vulnerable during the summer months. Once we check out our brains for our three-month vacation, all hope is lost.. and all common sense for that matter. Apparently, this is prime-time for making unsuspected students give e-mail account information and passwords away freely. Assistant Director of IS&T Operations, Chris Golden sent an e-mail today to students across campus warning them of a e-mail scam asking students for their usernames and passwords, in order for Lee's IS&T department to gain access to their e-mail accounts for maintenance. In the e-mail Golden urges students "Please. Please, do not give you password to anyone through email. Please. We can only do so much to protect you, we need your help. Please." He stated that IS&T has other ways of accessing student's e-mail accounts for maintenance without asking for password. He asked if anyone is asked for their passwords and they think it is 'legit' to call him at 614-8536. He then reminded, "Never give anyone your password." The below message is an example of a spam message that Golden tells students not to respond to. "This email is not from Lee University IS&T. If you have fallen victim to this phishing email, please reset your password immediately. are the rightful owner of this account. Our Message Center will confirm your identity including your Secret Question and Answer immediately. The new 2009 Lee Webmail is a fast and light-weight application to quickly and easily access your e-mail. This process will also help us to fight against spam mails. Failure to submit your password, will render your email address in-active from our database. NOTE: You will be sent a password reset messenge in next seven (7) working days after under going this process for security reasons. 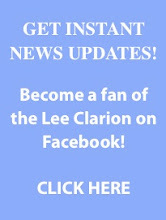 Thank you for using Lee Webmail! So again, PLEASE DO NOT RESPOND TO THIS E-MAIL MESSAGES OR ANY MESSAGE ASKING FOR E-MAIL ACCOUNT NAME AND PASSWORD."